"Sorry, I can't make it this week!" It can be hard to get all of your players together at the same time and place. When other obligations pull a player away from your table, but the rest of the party doesn't want to pause the game for weeks or even months, what's a DM to do? Kill off their character? Relegate them to NPC status? No! 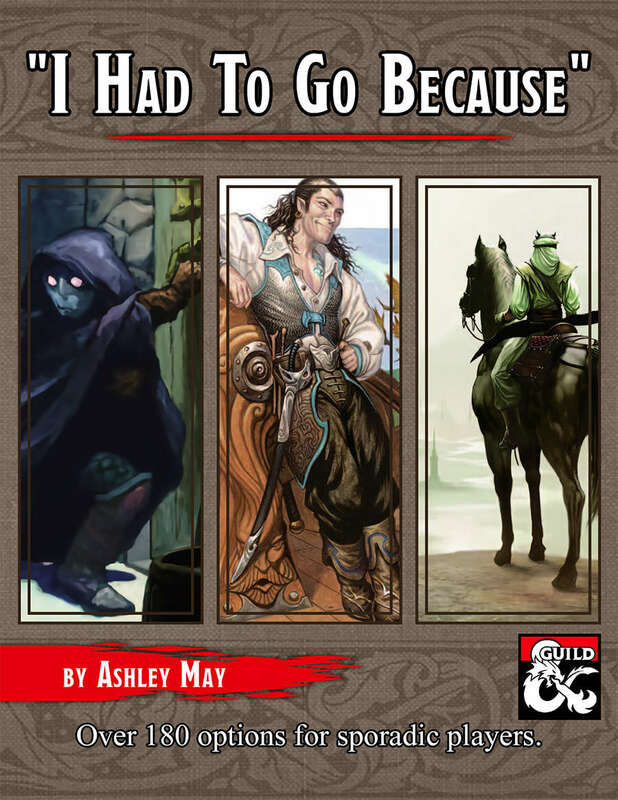 "I Had To Go Because..." is filled with over 180 in-character "excuses" for why an adventurer needs to take leave of the party. d8 charts organized by Background, so that ghosts from an adventurer's past can come back to haunt them. Options that are pressing but not life-threatening, so the party won't feel obligated to tag along. 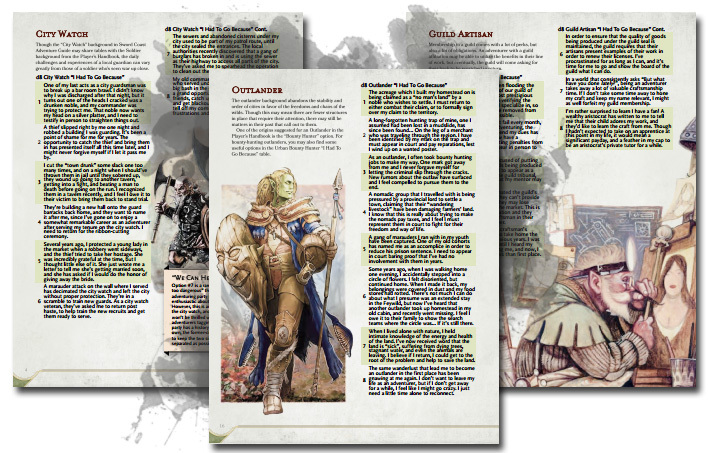 Advice on reintroducing characters who've grown and benefited from an extended absense, and bring new boons to the party, rather than getting left in the dust.